Private equity firms are very active in Italy in these days as for fundraising, acquisitions, and add-ons. 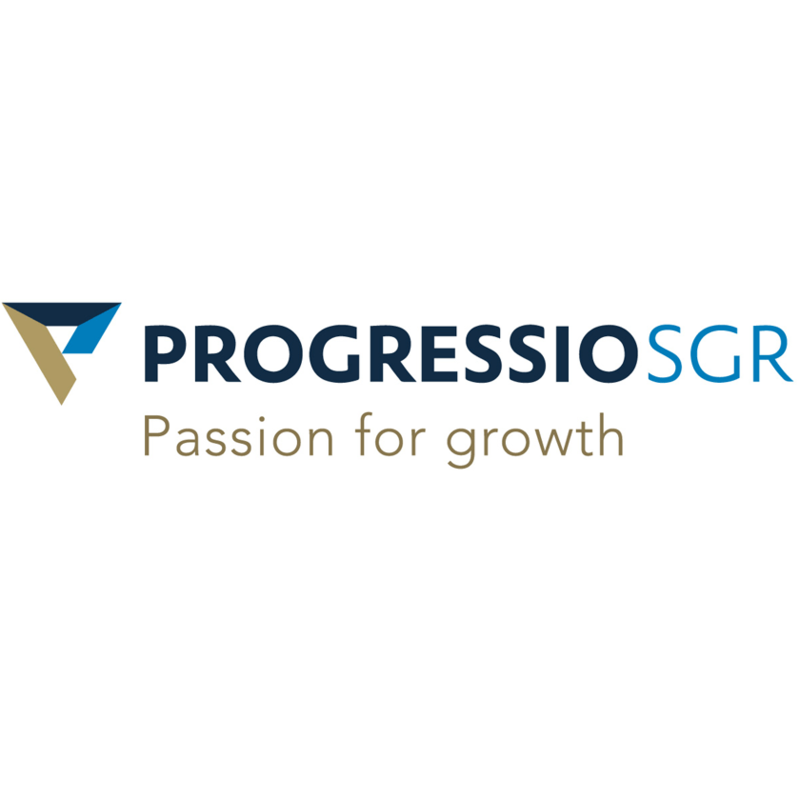 Progressio, the Italian midmarket private equity firm, acquired a controlling stake in Gampack, an Italian producer of industrial machinery for packaging (see here a previous post by BeBeez). Sources said to BeBeez that Progressio will buy 70% of the business from Luciano Gandini and ceo Giuseppe Gazzola that will keep the remaining shares. Gazzola will be Gampack’s chairman, Amedeo Scapin will replace him as ceo and will invest in the company. Gampack generates abroad 80% of its sales of 12 million of euros, with an ebitda of 4 million and will invest the proceeds of this transaction in M&A and organic growth. In the last few days, Progressio signed a fourth fundraising closing for 185 million ahead of a target of 225 million and a hard cap of 250 million (see here a previous post by BeBeez). The firm received commitment for investing from 50 subscribers, 21% of them are foreigners and 65% are institutional investors. Filippo Gaggini, Angelo Piero La Runa, Nino Mascellaro, Progressio’s partners, subscribed 5% of the fund that has resources for 500 million. HAT Orizzonte invested 3 million of euros for acquiring through a capital increase 43% of Advice Group, promotion, loyalty & community marketing firm (see here a previous post by BeBeez). Fulvio Furbatto, ceo and founder of the company, will keep a controlling stake in the business. Furbatto and Riccardo Barbieri (coo) founded Advice in 2006. The company had sales of 3.36 million, an ebitda of 0.5 million, and a net financial debt of 1.28 million in 2017, while topped 4 million euros in revenues in 2018 and targets 10 millions in two years with an ebitda margin of over 20%. Carlo Gotta, investment director of HAT Orizzonte and board member of Advice Group, said that the company will grow also through acquisitions. The Technology & Innovation fund of Hat set a fundraising target of 100 million of euros and also Dario Albarello and Ilaria Montefusco are part of the team. Augens Capital and BMO Global Asset Management acquired 80% of Impresa San Siro American Funerals, a leading Italian funeral home (see here a previous post by BeBeez). Andrea and Massimo Cerato, the sons of the founder Alcide, will still act as chairman and ceo of the company and keep a 20% stake. Banco BPM and Banca Interprovinciale-Illimity financed the buyers. San Siro has sales of 17 million of euros, an ebitda of 4.7 million and net cash of 5.3 million and will be the platform for further acquisitions in the sector in Italy. Augens Capital founders are Marco Mantica, a former partner of Vestar Capital Italy, Massimo Fabio Puccio (previously working at Vestar and SocGen), Stefano Costa (Deutsche Bank and Goldman Sachs), Reza Shahrbabaki (Alix, McKinsey and Fiat), Aldino Bellazzini (Selenia, Sparco and Petronas Lubricants), and Fabio Labruna (founder of Labruna Mazziotti Segni Law Firm). Enrico Preziosi aims to launch an ipo for his toy maker and distributor Gruppo Giochi Preziosi despite the current stock market volatility (see here a previous post by BeBeez). The company appointed Banca Imi, Banca Akros, Jefferies, and Barclays, and Rothschild as financial advisor. Giochi Preziosi will list an up to 45% stake and will sell shares almost exclusively to institutional investors. The group has sales in the region of 500 million of euros and an ebitda of 63 million. The listed comparables are valued with multiples in the range of 10 -14x ebitda. Stock, the Italian subsidiary of UK listed Stock Spirits Group plc, acquired from the Gozio Family the spirits production unit of Distillerie Franciacorta for 26.5 million of euros (see here a previous post by BeBeez). The Gozio family will focus on the production of cream for sweets and on managing the production of wines with Cantina Castello di Gussago la Santissima for which Stock will have an exclusive distribution agreement. Stock paid 23.5 million for the business and 3 million for the farmlands and will pay the total amount in three tranches 3 million at the signing; 21.5 million at the closing and up to 2 million in the following 4 years. ABK Group Industrie Ceramiche and Spac Capital For Progress 2 called off their business combination after the majority of the SPAC’s shareholders exercised the right of withdrawal from the deal and the SPAC’s promoters did not find a sufficient number fo third investors who wanted to take over their investment (see here a previous post by BeBeez). Massimo Capuano (former ceo of Borsa Italiana and Centrobanca), Antonio Perricone (B&S Private Equity and advisor of Amber Capital), Marco Fumagalli (former head of Capital Markets at Centrobanca), Alessandra Bianchi (analyst at Amber Capital), and Bruno Gattai, managing partner of Law Firm Gattai, Minoli, Agostinelli & Partners are the promoters of CFP. Advent, Bain, and Clessidra are preparing the launch of the announced ipo for Nexi, a leading provider of digital payments solutions (see here a previous post by BeBeez) Nexi enterprise value could be of 7.5 billion of euros, or 15x ebitda. The company has sales of 855.9 million euros, and an expected ebitda of 500 million. The funds have appointed Evercore as financial advisor, and Banca Imi, BofA Merrill Lynch, Credit Suisse, Mediobanca, and Goldman Sachs global coordinators. Banca Imi is also sponsor. Barclays, Citi and HSBC could act as joint bookrunners. Paolo Bertoluzzo is the ceo of Nexi. Poplast, a packaging producer for the food industry of which UK EOS Investment management owns 86.5%, acquired same sector company FM Plastic (see here a previous post by BeBeez). FM Plastic has sales of 12.06 million of euros, an ebitda of 1.3 million. Carlo Callegari and Pierangelo Fantonifounded Poplast in 1975. The company has sales 60 million. Ciro Mongillo founded EOS. F2A FIS-Antex, a provider of services in outsourcing for human resources and administration that belongs to Ardian, acquired Archimede, a publisher of software for HR (see here a previous post by BeBeez). Aldo Pascucci, the founder of Archimede, joined F2A for the development of new services. Archimede has sales of 1 million of euros, an ebitda of 0.93 million, and net financial debts of 0.313 million. F2A has sales of 53.3 million, an ebitda of 8 million, and net financial debt of 20.1 million. Benvic Europe, a French PVC producer that belongs to Investindustrial Growth since 2018, acquired Italian startup Plantura, a bioplastic producer (see here a previous post by BeBeez). Vittorio Bortolon founded Plantura in 2014. Benvic has sales in the region of 200 million of euros. Listed Italian TV broadcaster Giglio Group, is looking for an industrial partner to buy its TV channels so the company may focus on the ecommerce advisory business, chairman Alessandro Giglio said (see here a previous post by BeBeez). However, private equity firms may express interest in the operation if they have a media partner. De Nora, the Italian chemical company of which Blackstone owns 32.9%, acquired US peer MIOX (Albuquerque, New Mexico) from London-listed Johnson Matthey (see here a previous post by BeBeez). Paolo Dellachà is De Nora ceo, while Federico and Michele De Nora hold a controlling stake of the business. After having acquired Aspen Insurance Holding for 2.6 billion of US Dollars, Apollo Global Management ownsnow a 20% stake in insurance company Bene Assicurazioni (see here a previous post by BeBeez). IVASS, the Italian insurance regulator, authorised the transaction. Apollo owns since 2014 Italian insurance Carige Assicurazioni and Carige Vita Nuova, and rebranded them as Amissima. Andrea Sabìa,Lodovico Radice, and Alberto Dominici founded Bene Assicurazioni of which German peer Nuernberger Group holds a 25% stake, while the company’s managers and private investors have the remaining 55%. Bene raised prizes for 46 million of euros and in 2018 launched a 5 million capital increase that all shareholders subscribed.